Why Request a Wedding Free Wedding Sample Kit? 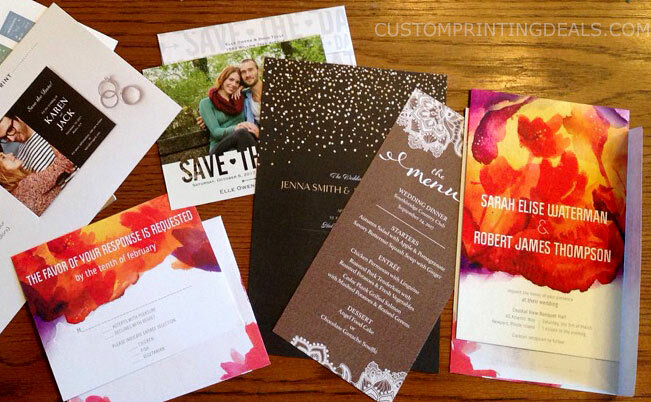 If you’re considering Vistaprint to handle any or all of your wedding printing, I suggest getting free samples first. When you hold them in your hands, you’ll really make an informed decision, and it can help you choose between options like finish and paper stock. 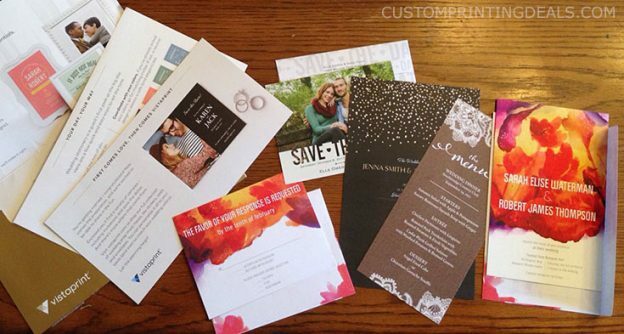 While previewing wedding invitations online gives you a good idea for how they will look, nothing beats having samples in your hand. How else can you make a good decision on which paper stock or finish you want? What Does the Free Wedding Sample Kit Include? 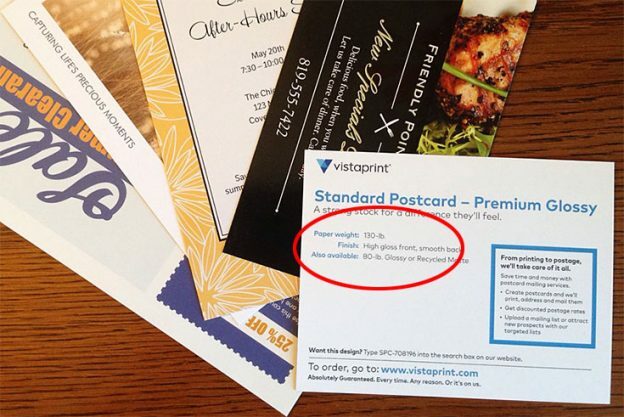 The message on vistaprint.com tells you that shipping free samples takes two weeks, so if you are pressed for time, free samples might not be an option. 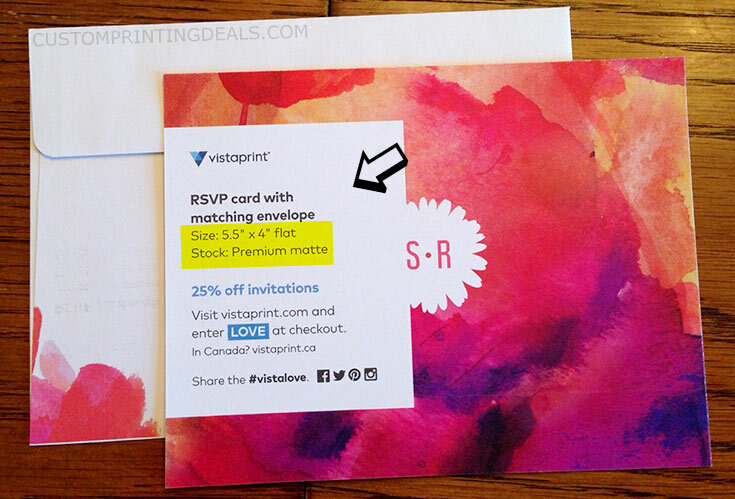 Or, you could always have the save the dates printed first, then wait on your decision for invitations, etc.Before placing an order, be sure to use a coupon for their wedding invitations here. How Long Does It Take to Get the Free Wedding Samples? While Vistaprint quotes “2 weeks” for delivery, mine were shipped and arrived in only 6 business days. If you still have time on your hands and aren’t rushed to get your save the dates or invitations mailed, this is a great option. 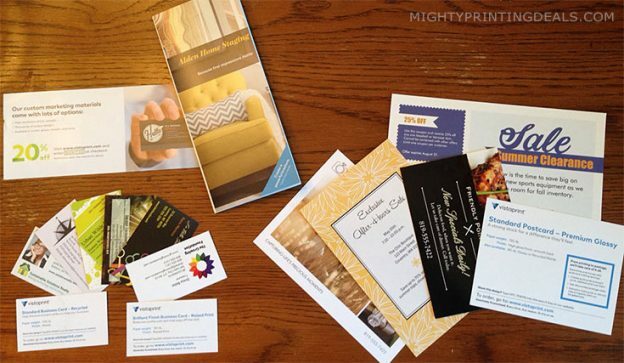 You can also request Vistaprint free sample business cards, postcards, and brochures. 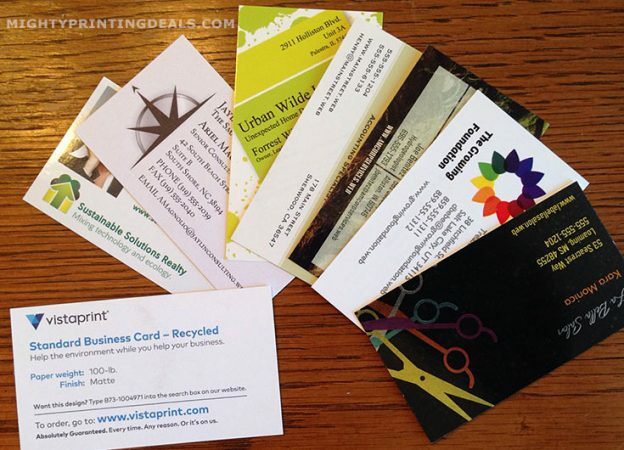 You might be familiar with Vistaprint’s famous free business cards, offer. They also used to offer 10 free save the dates or wedding invitations as well. All of their “free” products have been replaced with free samples for business and wedding. Those old offers didn’t include free shipping, (and only one product) so this is actually a better deal. Maybe they also found that cheap people were requesting 5+ free sets of wedding invitations and then just sent them out to guests; never intending to actually place an order! This entry was posted in vistaprint and tagged free, free samples, vistaprint, wedding on August 21, 2017 by kevin.